On the second day of the conference (Thursday, March 1), Dr. Rapaport’s research partners, Dr. Kari Lock Morgan from Pennsylvania State University and Dr. Anna Saavedra from the University of Southern California (USC), will present on the team’s use of a novel randomization approach, titled “Rerandomization to Improve Baseline Balance in Educational Experiments”. Dr. Lock Morgan and Dr. Saavedra will discuss the use of rerandomization in a randomized controlled trial evaluation of the impact of “Knowledge in Action (KIA)”, a project-based approach to teaching Advanced Placement classes. Their talk will include a discussion of the rerandomization procedure and its benefits relative to standard randomization, using the KIA Efficacy Study as an example. We blogged about the KIA evaluation, for which Dr. Rapaport is co-Principal Investigator, back in November 2017, after USC published an article discussing initial observations from the study’s pilot year. You can read a brief description of the project on our website. If you’d like to learn more about rerandomization, you can read Dr. Lock Morgan’s original paper: Lock Morgan, K. and Rubin, D.B. (2012) “Rerandomization to Improve Covariate Balance in Experiments,” Annals of Statistics 40(2): 1262-1282. If you plan to attend SREE, we hope you enjoy the presentation. 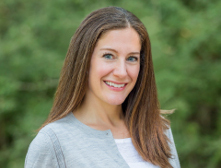 And if you see Dr. Rapaport during the conference, do not hesitate to say, “Hello.” She is very excited to attend this year, and is looking forward to learning more about how our education research does and can inform education practice.